Studies undertaken in several countries have detected a wide range of pharmaceuticals and personal care products (PPCP’s) in surface water, groundwater, and even drinking water systems. The levels of these chemicals appear to be relatively low, however, due to their reactive nature, continual presence in the environment, and unknown effects on both humans and aquatic ecosystems, concern is rising among researchers and health agencies. PPCP’s are basically all drugs such as antibiotics, steroids, antidepressants, narcotics, painkillers, tranquilizers, and every other prescription or non-prescription drug or treatment. They also include oral contraceptives, antiseptics, fragrances, shampoos, sunscreens, insect repellents, food supplements, caffeine, and nicotine, to name just a few. 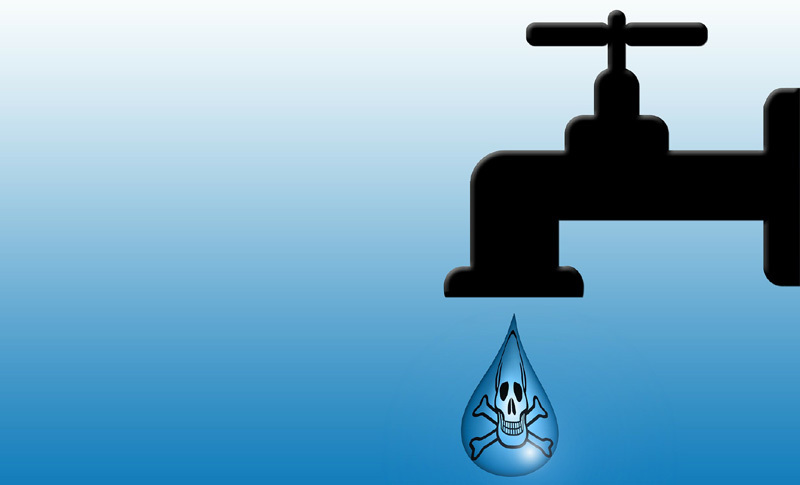 These chemicals are flowing into our water systems in huge quantities all over the world. In fact, the number amounts to thousands of tons per year, which is similar to the amount of fertilizers and other chemicals used in agriculture. When the totals are examined, the statistics are staggering. German researchers have found up to 60 different drugs in their water samples. The U.S. Geological Survey has measured 31 kinds of antibiotics and anti-bacterial chemicals, as well as a variety of hormone and birth control compounds in its 30-state sampling program. One of the most profound examples is the presence of clofibric acid, a drug commonly taken to reduce cholesterol levels. Estimates put the clofibric acid content in the North Sea at 48 to 96 tons, with an additional 50 to 100 tons flowing in every year. When a medication is taken, a large percentage of it passes through the body unchanged. The body also converts some of the drug to other compounds called metabolites, which may be even more bioactive than the original drug. The net result is then excreted from the body in urine and feces, which ultimately end up in waste treatment plants along with other personal care products washed off the body. Most treatment plants are unable to remove PPCP’s, so they pass either into surface waters (from the liquid portion), or groundwater (from the solid waste portion). Runoff from farm animal operations also contributes a significant amount of PPCP’s to the environment, as does hospital discharges, and the aquaculture industry. Thousands of different PPCP’s are being used worldwide in huge amounts, and many of them ultimately end up in water systems. Little is known about how each component of this complex mix of chemicals reacts with each other and the environment. There are simply too many of them to be able to predict what happens when they are mixed. As long as wastewater treatment plants continue to pump out PPCP’s, the contaminants will always be present in water systems. Natural degradation of these chemicals can occur, however, continual replenishment makes this process ineffective at removing the problem compounds. So what are the long-term effects on humans and aquatic ecosystems? The answer is that we simply don’t know. Some effects could be profound and readily visible, however, some could be so subtle that they may not be detectable for many years. These subtle changes could still have significant repercussions particularly to aquatic species and perhaps even to humans. PPCPs are prevalent in our water systems and the long-term effects to human and environmental health are yet to be fully determined. When studying the effects of PPCP’s on humans, one is presented with a list of questions rather than a list of facts. A wide range of PPCP’s have been found in drinking water samples. What are the long-term effects of drinking this chemical mixture everyday? Musk (a fragrance used in detergents and perfumes) is fat soluble and therefore accumulates in the fatty tissues of fish. What are the long-term effects of continually eating this fish? A pregnant woman risks the health of her developing fetus when she ingests chemicals. What are the effects on the fetus from the consumption of PPCP’s in food or drinking water? The answer to all these questions and many more is that we just don’t know. Hormones have been detected in water samples. Could the continual ingestion of these hormones be the cause of decreased fertility, cancers, and other diseases? Some studies have indicated this may indeed be the case. The increased appearance of antibiotic resistant bacteria is becoming a matter of great concern among health care providers. Could the significant levels of antibiotics in water systems be contributing to this? Some researchers say it is possible, but again we don’t know for sure. Generations of aquatic organisms have lived and continue to live in this chemical “soup”. For them there is no escape. The toxic exposure is constant in the aquatic environment. For this reason, even low concentrations of PPCP’s can have very significant impacts on many species. Some impacts are profound and even disturbing while others are unknown. As with human health risks, there are many questions and few answers other than the all too familiar response – we simply don’t know. certain cardiac drugs can prevent aquatic organisms from expelling contaminants from their systems, thus increasing the toxic effects of all the PPCP’s to which they are exposed. The issue of PPCP contamination of water systems has only been recognized fairly recently, and some effects on human and environmental health are only beginning to be examined. There are many questions yet to be answered, and quite likely many questions that have not yet been asked. With further research perhaps some of the answers will be found, but many questions will possibly never be answered. The magnitude of the problem and the potential negative impacts definitely warrant further investigation. We don’t know too much about how PPCP’s are impacting human and aquatic health today, and we don’t know the long-term consequences associated with this form of contamination. However, we do know that the contamination is extensive and exposure is continual. We also know how PPCP’s are getting into the water systems. As difficult as it may be, finding a way to keep these chemicals out of our water must be a top priority. Posted in Environment and tagged chemistry, conservation, contamination, drinking, environment, environmental, groundwater, human health, lakes, municipal, oceans, personal care products, pesticides, pharmaceuticals, pollution, ppcp, protection, restoration, sanitation, tap water.